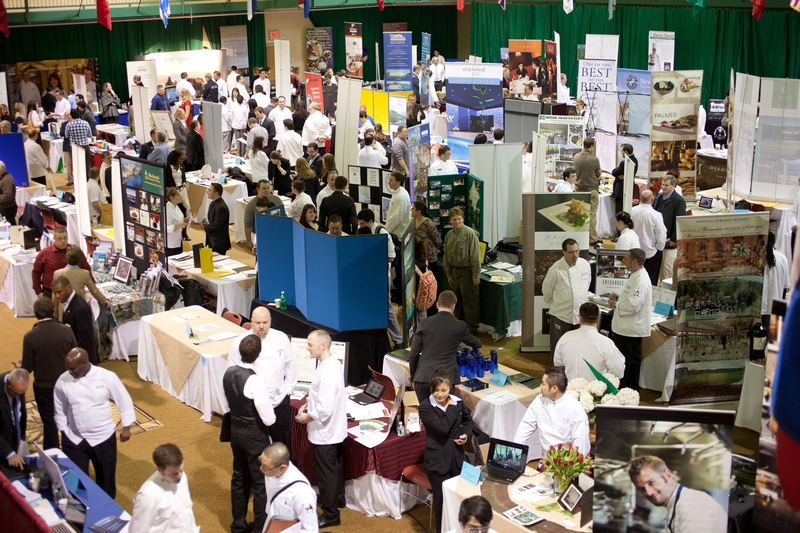 Hyde Park, NY – The Culinary Institute of America (CIA) is bringing 280 recruiters to its Hyde Park, NY campus on February 4 for the largest career fair at the college in six years—since before the economic downturn. Companies from all sectors of foodservice and hospitality are actively seeking recent and soon-to-be CIA graduates for positions. In fact, due to space constraints at the career fair venue, 15 companies had to be put on a waiting list. Acting Director of Career Services Ronald Hayes '02, himself a graduate of the college, attributes the success of the CIA's career fairs to several factors, including an overall increase in jobs available and budgets that allow companies to recruit. He also notes that restaurant companies like Jean-Georges Restaurants, the Charlie Palmer Group, and Bread Alone are coming to the fair. "These restaurants don't have to recruit. People come to them looking for jobs," Hayes says. "But they're coming to the source, because demand is really high for CIA graduates. They know they'll be hiring a superior employee." In a sign that the food world is leading the economic recovery, each of the last 16 quarterly fairs at the CIA has seen a growth in companies attending from the same season the year before. In 2013, the fairs combined to welcome a record 885 recruiters. Organizations recruiting CIA graduates include fine-dining restaurants, bakeries, hotels and resorts, country clubs, casual dining chains, caterers, supermarkets, healthcare and educational institutions, research and development companies, airport concessions, and corporate dining, to name just a few. For years, the CIA has been hosting career fairs on its Hyde Park campus, where recruiters actively look to hire students for externship field experience and graduates for a wide range of jobs in kitchens and dining rooms and on management tracks. The college recently launched similar Career Networking Days at its California and Texas campuses.